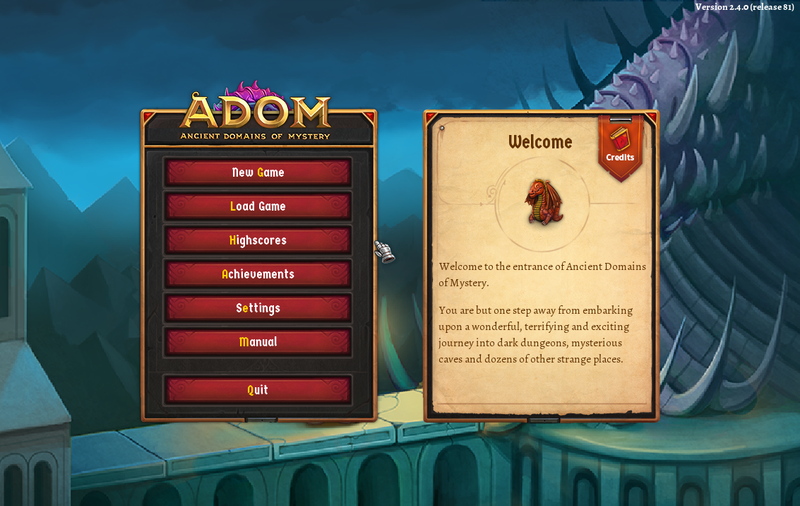 You have successfully arrived at the Ancient Domains Of Mystery (ADOM) press page. 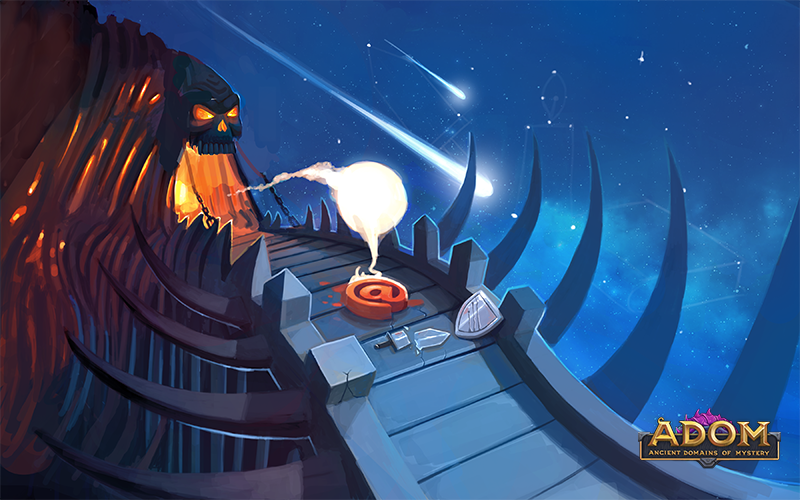 Here you should find any info you might need to post articles or get more informed about ADOM. If you need any additional information posted to this page or would like anything provided in a different format, let us know and we’ll make it available. 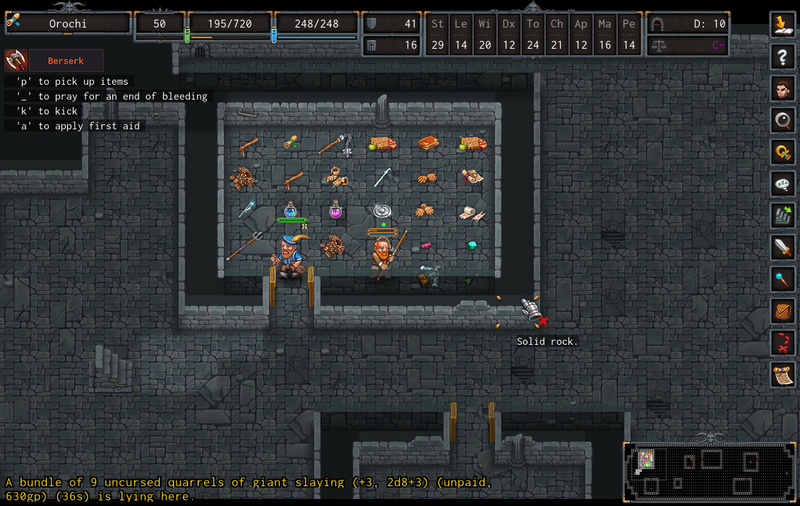 ADOM Classic (free version): First release 1994; Latest release (R88, version 3.0.6) 2th of January, 2018. Price: USD 14.99; GBP 12.99; 14,99 EUR; and more prices in other currencies. Rock Paper Shotgun - Have You Played... Ancient Domains Of Mystery? 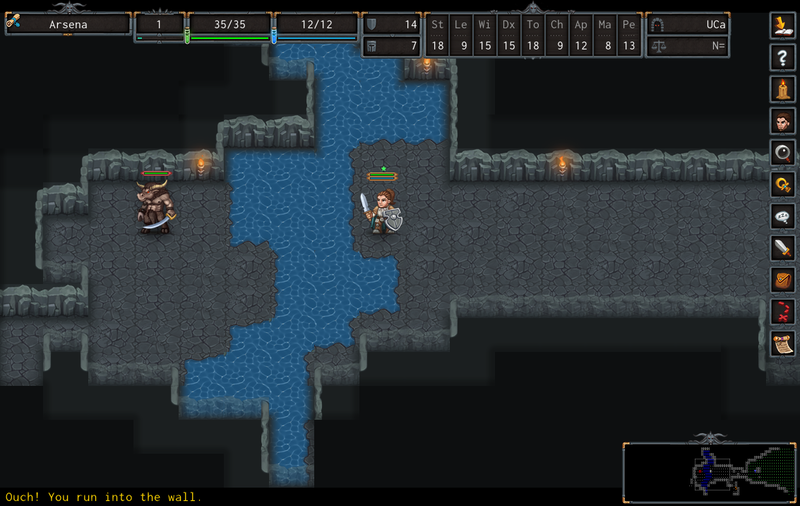 ADOM is an epic fantasy Roguelike. The story takes you to the Drakalor Chain, a mountainous area in the fictional land of Ancardia. You are a lone wanderer whose purpose is to find the source of the Chaos spreading throughout the land. 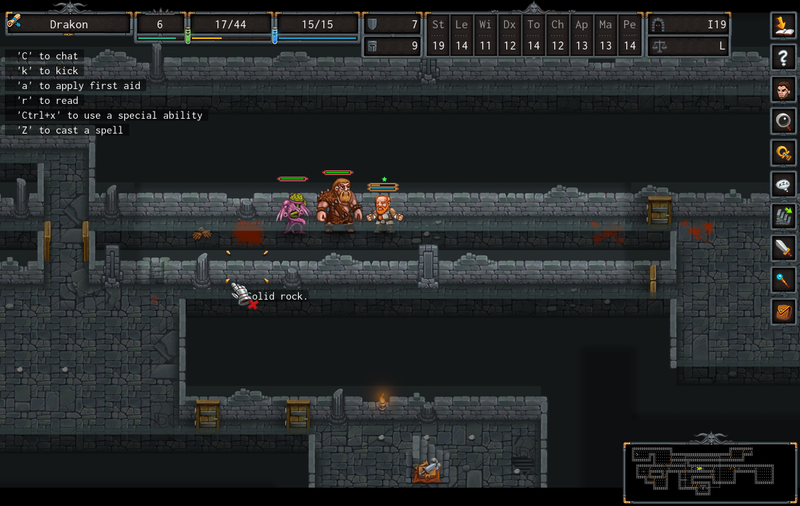 Pursuing your quest you traverse through dark dungeons and untamed wilds where death lurks around every corner. 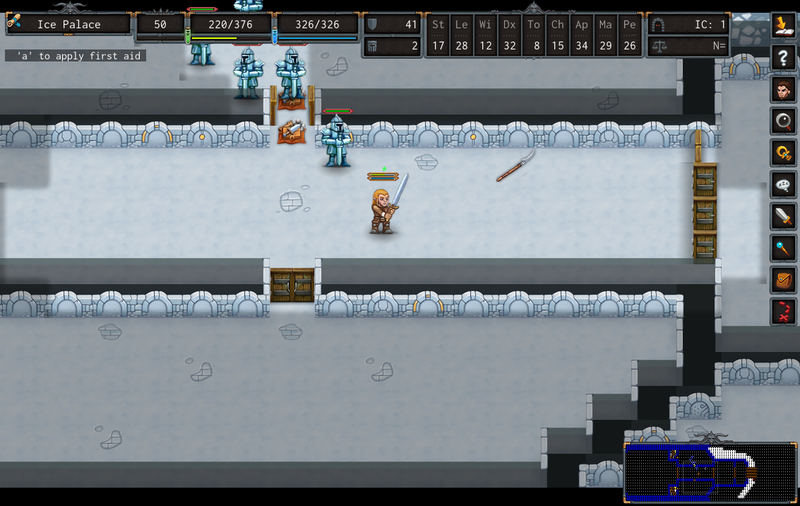 The world of Ancardia is very harsh, unforgiving, harkening back to the golden days of Roguelikes and Role-Playing games. 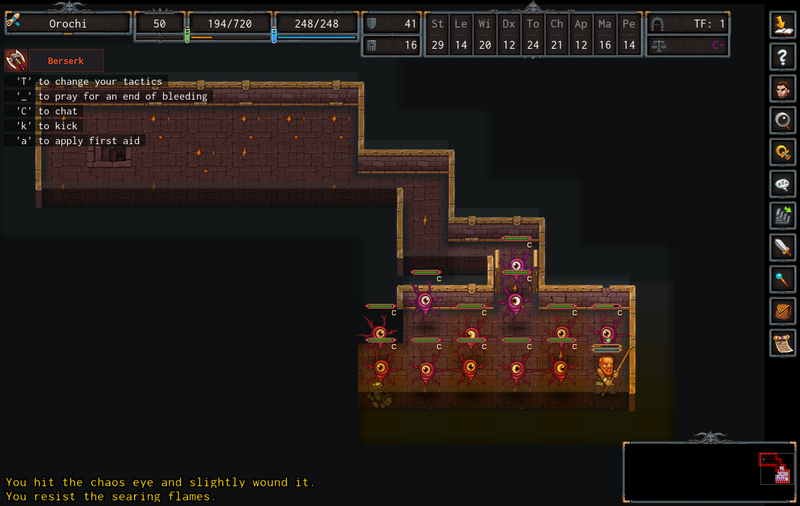 You must face a huge host of monsters while avoiding disease, hunger, traps and the ever-present corruption. You race against time to unravel the nature of the corrupting forces slowly devouring Ancardia, and finally vanquish them once and for all. Or will you manage to harness them to do your bidding? Become a savior, ascend as a god, or don't interfere and leave Ancardia to its fate? The choice is yours, adventurer. 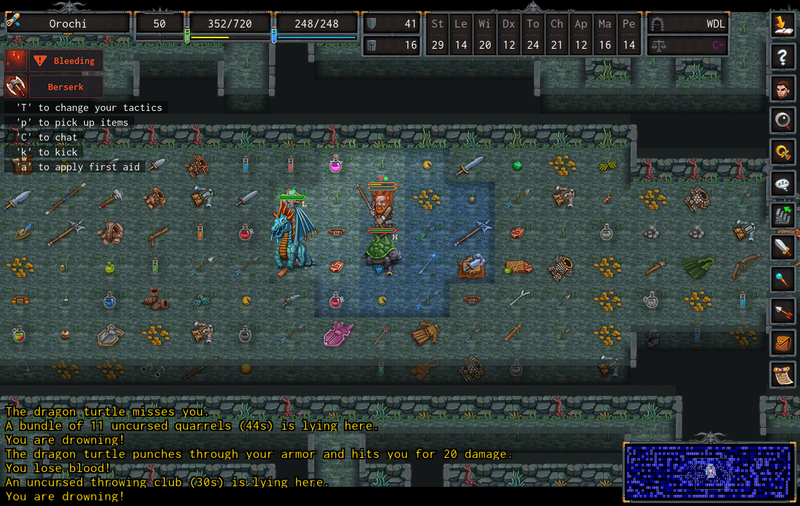 An unforgiving 1994 roguelike game at its core, ADOM is brought to a new audience with hand-crafted graphics, beautiful music and a modernized UI. Global and shared highscore files. Point based character generation for ultimate customization. 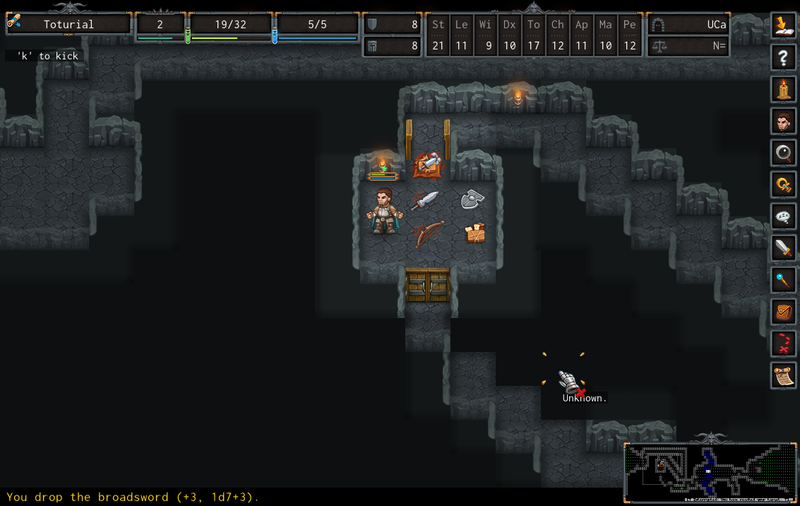 New dungeons, monsters, items and artifacts. Thomas Biskup began ADOM's development in 1994. Within a few years it became one of the most recognized roguelikes of its time, and gained international acclaim as well as a strong fanbase around the world. 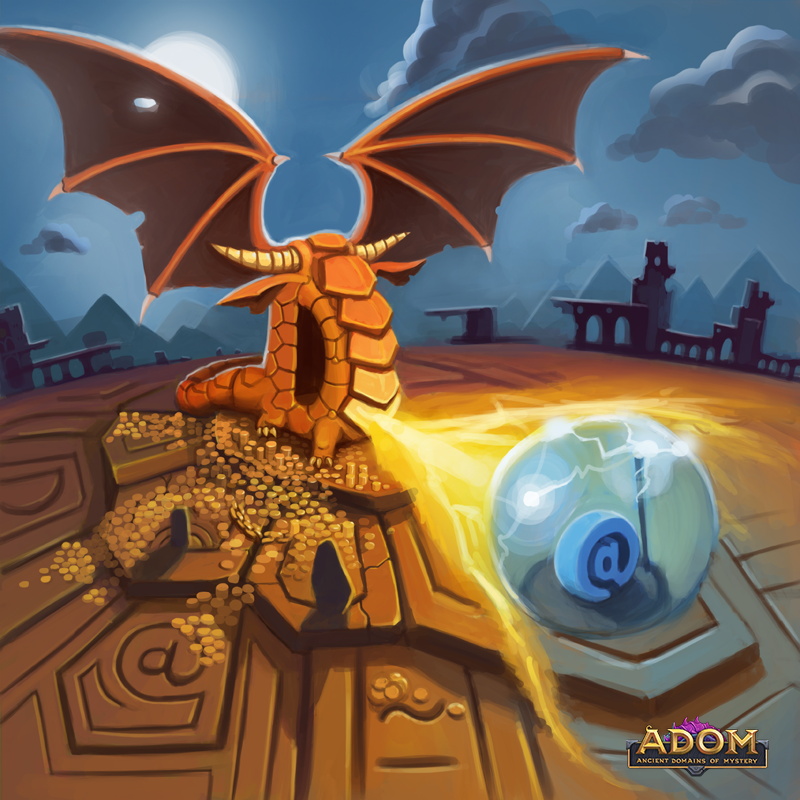 As years passed ADOM grew more complex and increasingly difficult to maintain, until finally it became simply too costly and time-consuming to continue. Active development ceased in 2002, with only minor bugfix releases being published sporadically. In 2012 Thomas decided to return to his great project once again, announcing an Indiegogo campaign to fund ADOM's development. Originally he intended just to fix some outstanding bugs, add some greatly missed features to be able to finally call ADOM 'complete' and lay it to rest once and for all. 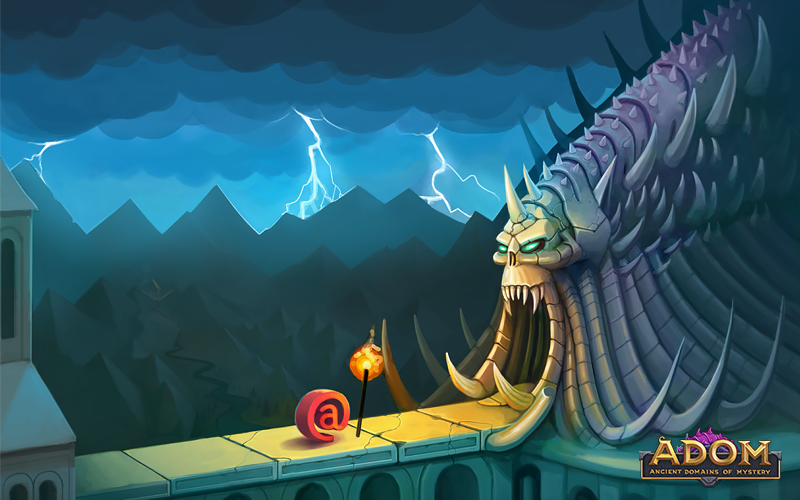 However thanks to the overwhelming response of the ADOM community the crowdfunding campaign was a roaring success, gathering over $90,169 USD in just two months. These new funds allowed Thomas to add four developers to the project and thoroughly modernize the game. 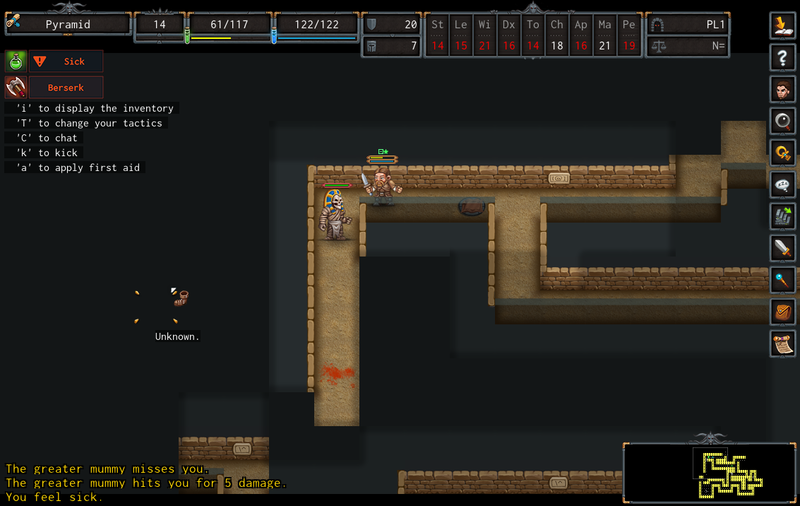 Between 2012 and 2015 ADOM's development team added graphics, sound, Steam integration, many new quality-of-life features as well as expanded the core content of the game. 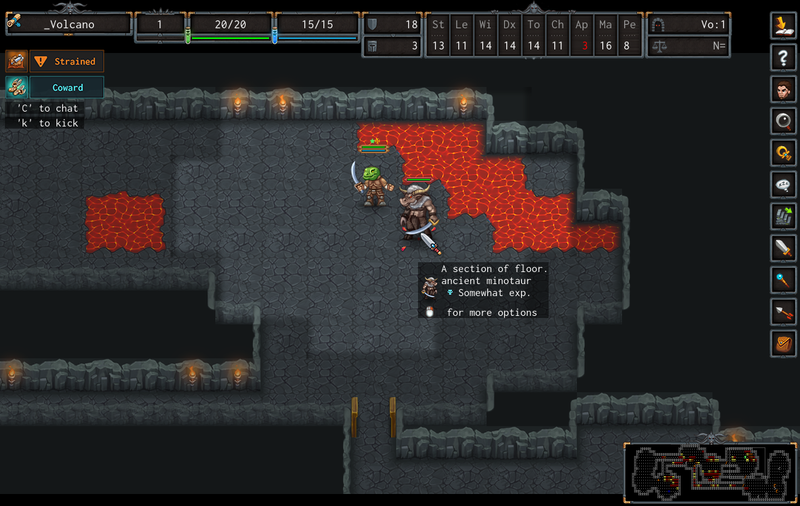 In the future, depending on the reception of ADOM's new and improved form, the team plans to rework the graphical interface, add animations and then use ADOM's huge asset library to kickstart ADOM 2 development. Thomas Biskup - Creator, maintainer, designer and lead developer.